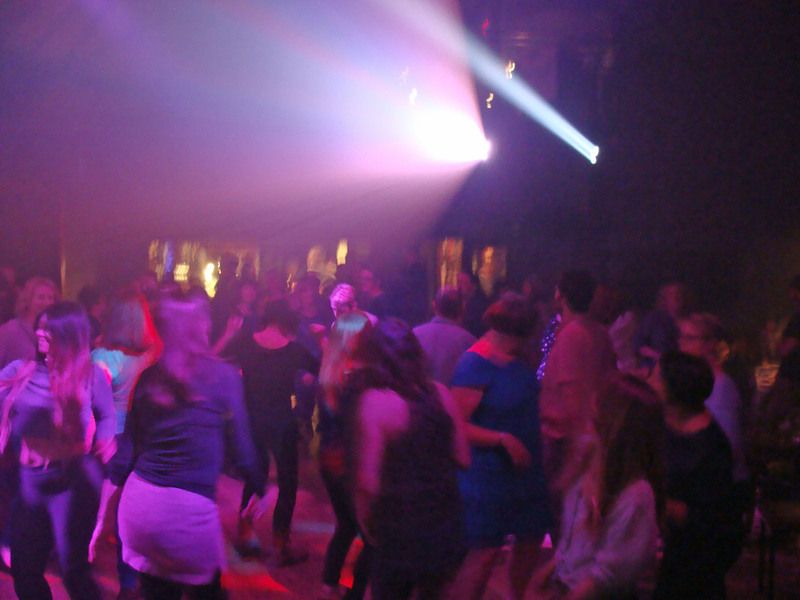 On Friday 17th April, we were to be found dancing the night away at The Trades Club in Hebden Bridge at our Nutclough City Limits club night. 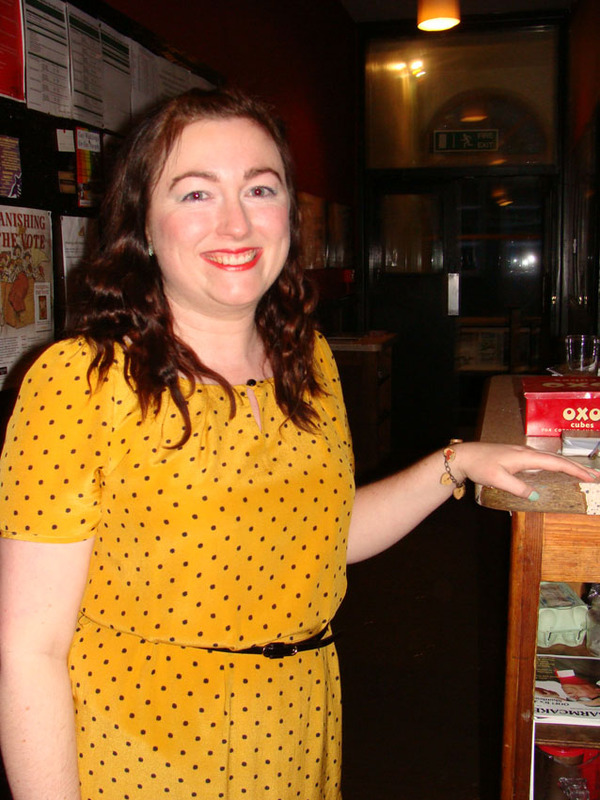 The lovely Fliss organised the evening as a joint fundraiser for our Charity Of The Year, Smartmove and Hebden Royd Primary School PTFA’s book fund. 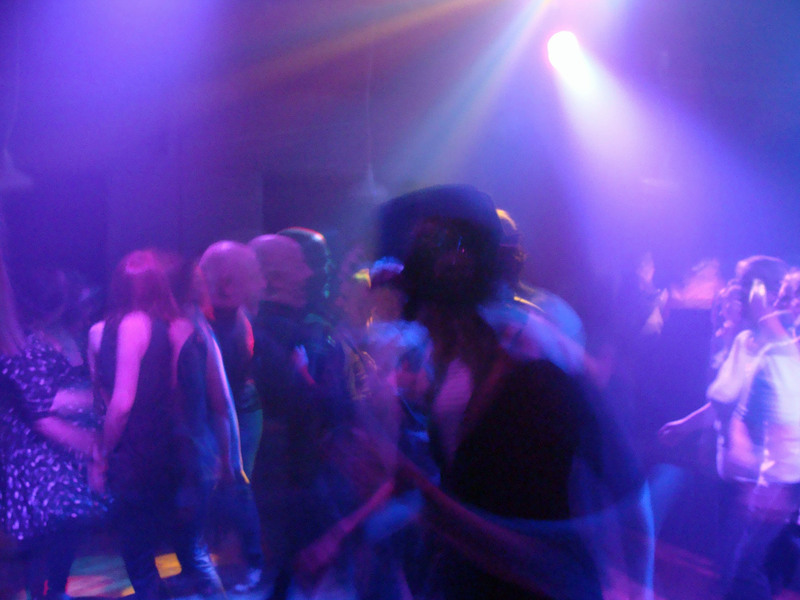 The music was a lively mix of mod, soul, motown and funk. 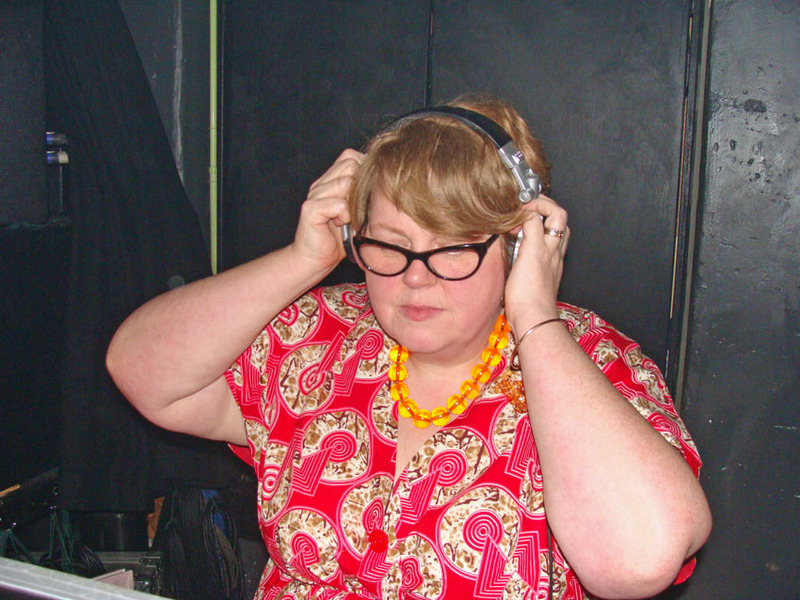 Our DJ’s kindly volunteered their services for free. 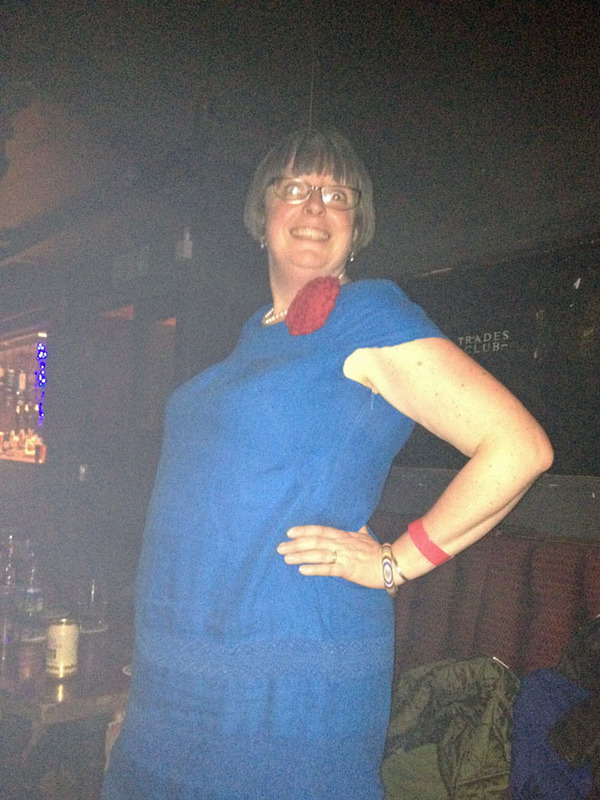 HBWI member, Helen did two fantastic sets and Audio Vibronics’ Sam & Rich did a (very loud!) set each. Being the WI, we decided that nothing would go better with a night of dancing than some cake, so naturally we organised a cake stall. Kirsty’s Orange and Passionfruit cake with mascarpone filling went down an absolute storm (thanks Delia Smith!) and there were a whole range of other delicious treats. 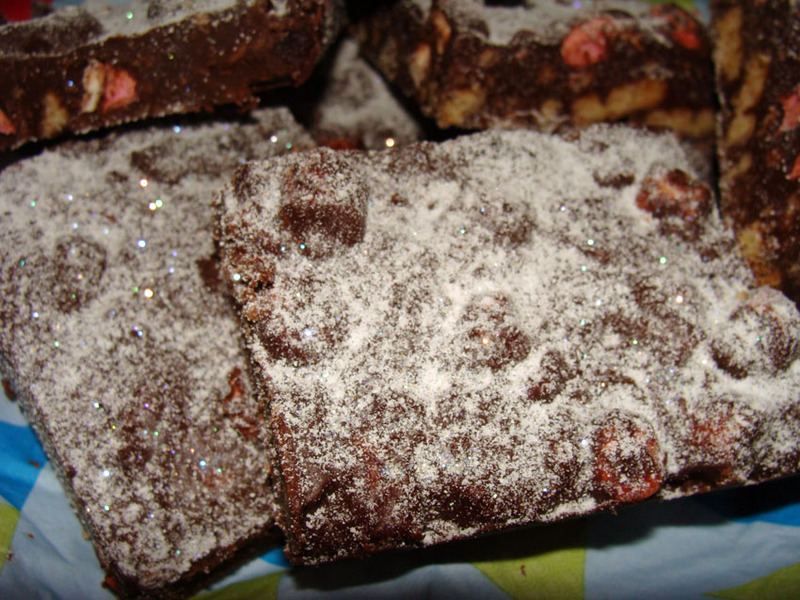 Karen’s glittery Rocky Road made with cherries instead of raisins, was very delicious. 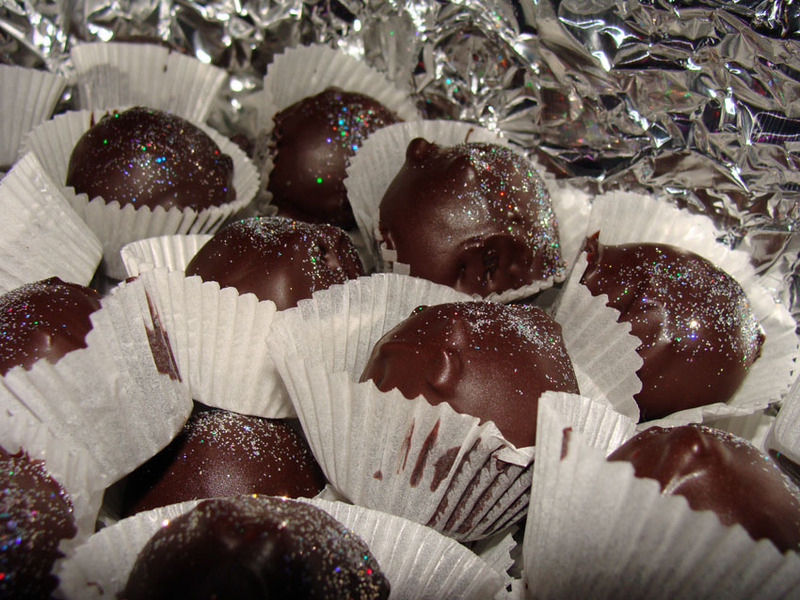 Heather’s signature glittery chocolate truffles are always a big favourite. As you can see, edible glitter was a bit of a theme. 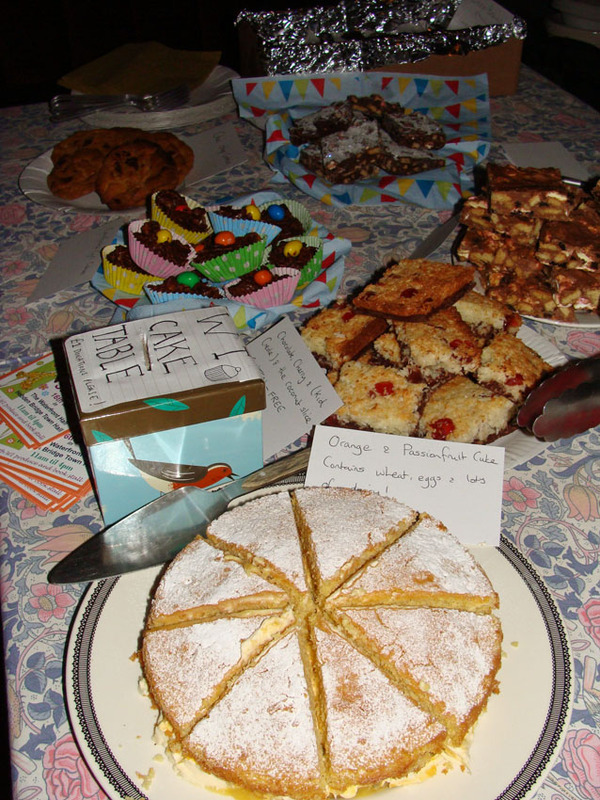 We raised more than £40 on the cakes alone, which wasn’t too shabby for a boozy evening event. We did have a fair bit of cake left at the end of the night because we’d made so much. But that wasn’t a problem, we simply took the leftovers to our WI meeting on the Monday where they were promptly devoured! 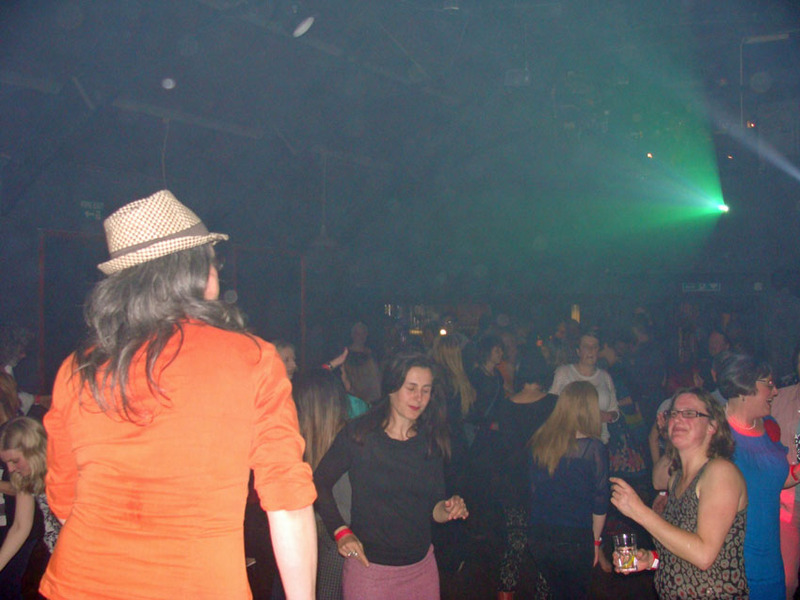 We didn’t all make it to 2 am, but once we got going, the dance floor was thronging and people were letting rip. We had well over 100 people through the doors and were delighted to make more than £740 to split between the two good causes. All in all, it was a roaring success and a huge amount of fun. 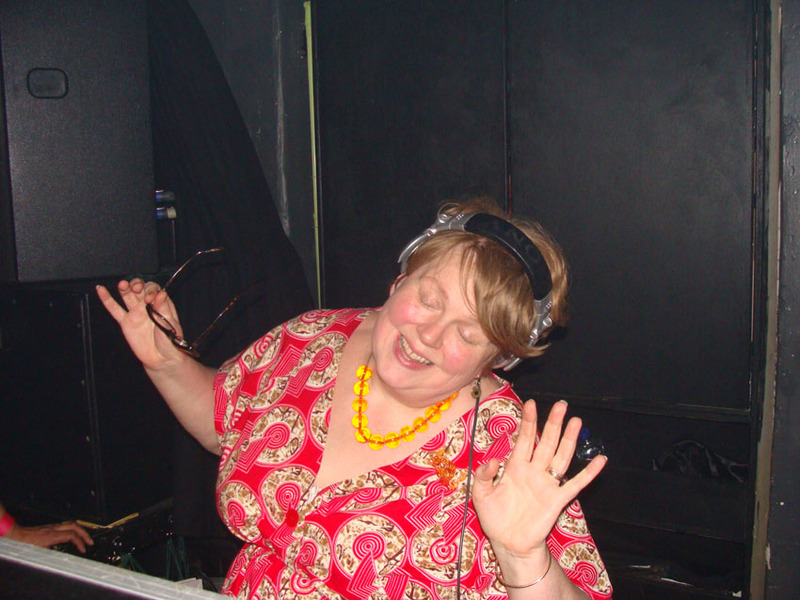 Special thanks go out to Fliss for organising the event; Helen and the other DJ’s for their fabulous tunes; Vanessa who designed the poster and everyone who made cakes, helped promote it, sold tickets or helped on the door. Thanks also to our lovely hosts, The Trade Club who were completely up for us coming and eating cake all over the place. And of course, huge thanks to everyone who bought tickets and came along on the night, bought cake and got up and danced their little socks off. We were thrilled to make so much for charity and look forward to making this a regular event.